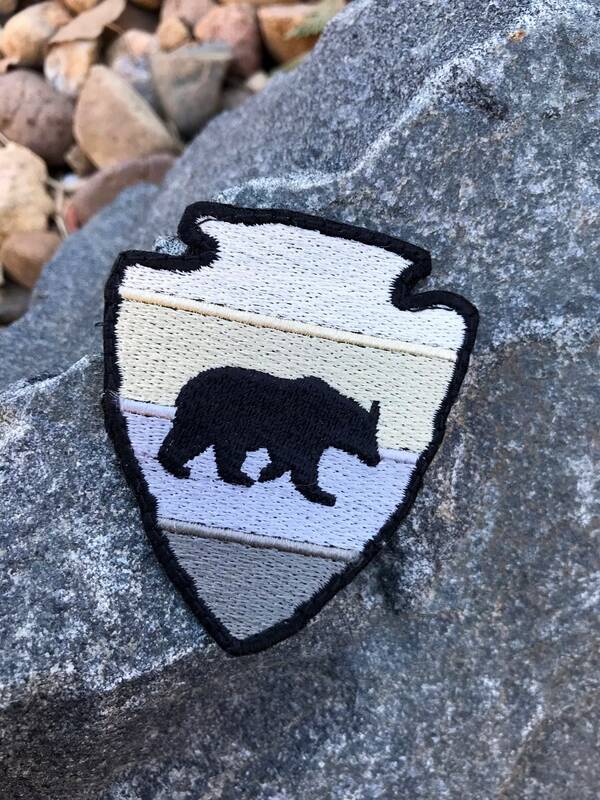 Arrowhead bear embroidered patch. Great to take on your next outdoor adventure. 2.5" tall by 2" wide. Available as iron on or backed in velcro.